Large Format Printing & Display Hardware allows you to promote your brand with a big impact at events, retail environments and trade shows. We offer direct-print technology on dozens of substrates, as well as finishing features like grommets, framing, easel backs and more. 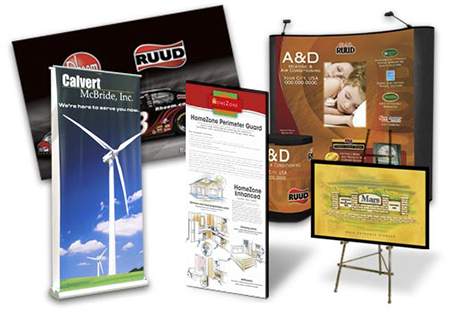 We also offer high-quality and economical display hardware from banner stands to complete booth systems. 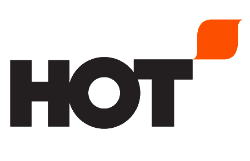 Whether you need a custom printed retractable banner stand, trade show displays, table covering, flags, wall signs, floor easels or even outdoor exhibitions, HOT is the only local authorized distributor for several USA made, quality hardware manufacturers. Large Format Substrates Available - Need a quick sign or a fast banner? Here is a list of substrates we have in stock all the time. Banner Substrates Comparisons - Wondering about the difference in substrates? Here is all the info you need.